Growing up, there always seemed to be a party on somewhere every weekend. It didn't take much to get us going at a young age, just some paper hats, a row of chairs and some Shakin' Stevens on the cassette player. Nowadays the parties seem to be fewer and further apart, although Shaky still graces the playlist every now and then. 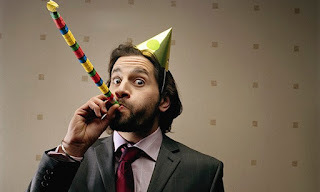 Kid's parties are different too, it appears to be de rigueur to hire a professional entertainer, bouncy castle and a buffet full of carrot sticks and Houmous lest the other parents whisper in disparaging tones behind your back. 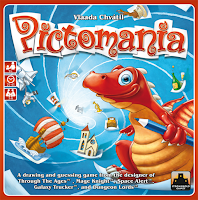 Party games have also changed; back then it meant musical chairs or pin the tail on the drunk uncle, but the definition has shifted to encompass the boardgames that are stuffed full of far more instructions than "sit down if you can" or "watch out for the pointy end". One thing sure hasn't changed though, and that is the sheer joy of playing games that are designed purely to enable people to have fun, as one particularly rowdy table discovered this week. James and I had arrived early and decided to try out Beasty Bar as a two hander. I have never played Guillotine but had heard that the two were similar. Long story short: each player has the same deck of animals who are trying to get into heaven and use their special abilities to do so. 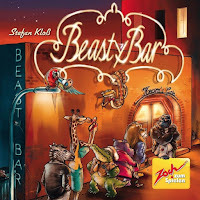 For example, the kangaroo will hop over other animals, the skunk will get rid of animals using its stench, the lion will push to the front of the queue (as King of the Jungle) etc. Just as the hands were being dealt out, Tom Deux walked in and we dealt him in - James selling the game as the surprise hit of Essen '14 (hmmmm...) the game itself was enjoyable but didn't quite work as a three player first time around. Due to the length of the queue and the number of animals eliminated each time it reaches its full length, I ended up being a Kingmaker a lot of the time, meaning that James got screwed over more often than not. To mitigate this, Tom and James would have had to play cards that changed this order (largely by removing more cards) but either didn't or were unable to based on their hands. Tom Dos triumphed in the end with six animals in heaven, compared to my five. James only managed the one! 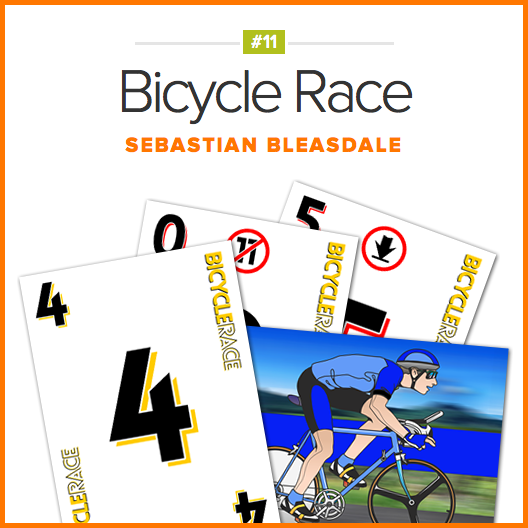 Paul A: "Bicycle Race is essentially an exercise in reading your opponents mind and playing the card they don't expect. Packs a lot of play into such a small set of cards and rules, and goes for just about as long as it should. Thus, a perfect microgame. PS: The other Paul should never be trusted." 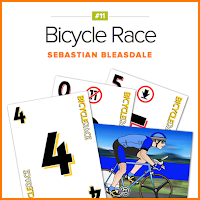 Tom: "We had been joined by Pauls A and D with the former unveiling a print and play microgame Bicycle Race, designed by Sebastian Bleasdale, of Keyflower and On the Underground fame, as part of Brett Gilbert's Good Little Games competition. Although luck heavy and unfair (a player can be a position where they just can't win a hand), this was an absolute doozy with the full complement. The bluffing element and open information on the leader of the race's hand led to gasps and yelps until Paul A managed to hold off a late push by James for the Yellow Jacket. A fantastic little filler to kick off any games evening." Paul A: "A unique little coop in which a group works together to do their best (worst?) imitation of a WWI French infantryman. There’s a certain amount that comes down to people playing in the spirit of the game rather than exploiting the rules, but despite my fears it’s a pleasant little coop. 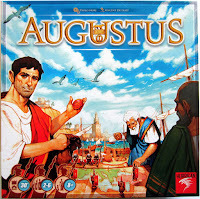 I suspect the beginners game (which we played) (and lost) may be just a little too easy for serious gamers, but I’m looking forward to playing the harder version." 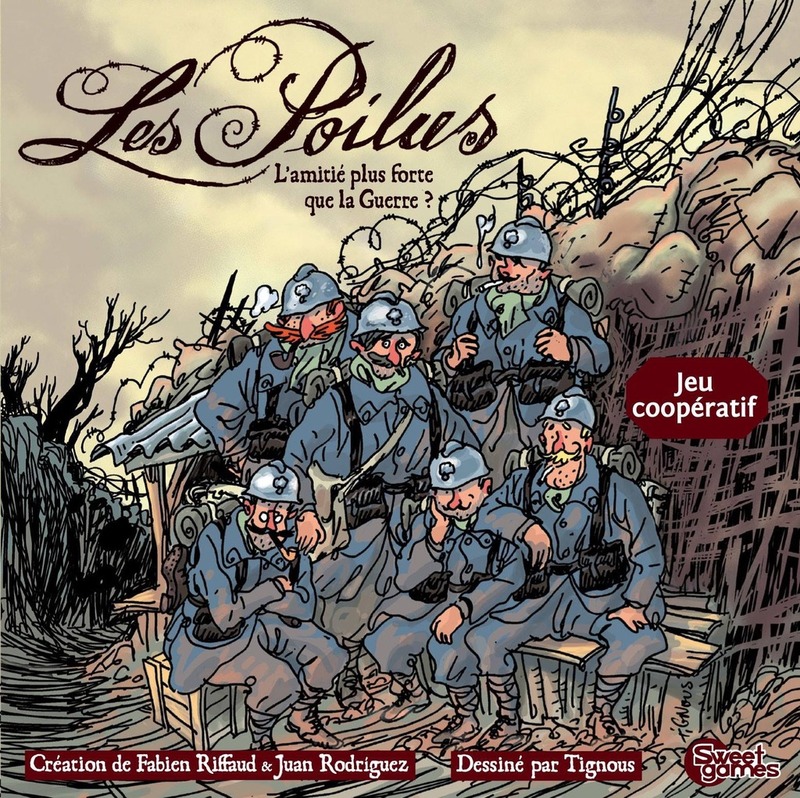 Tom: "At this point, numbers were growing and I joined Tom, Paul A, Soren and Dan for a game of Les Poilus, a game that got quite a bit of attention of the Geek a while back due to the involvement of one of the artists killed in the Charlie Hebdo attack in Paris. As to the game itself, I enjoyed it but wasn't really sure of what we trying to achieve until we had lost! This was certainly a better game for five than Samurai Spirit helped a good deal by the general inability to communicate between players and, although not the great fan of co-ops, I could easily be persuaded to give it another shot." 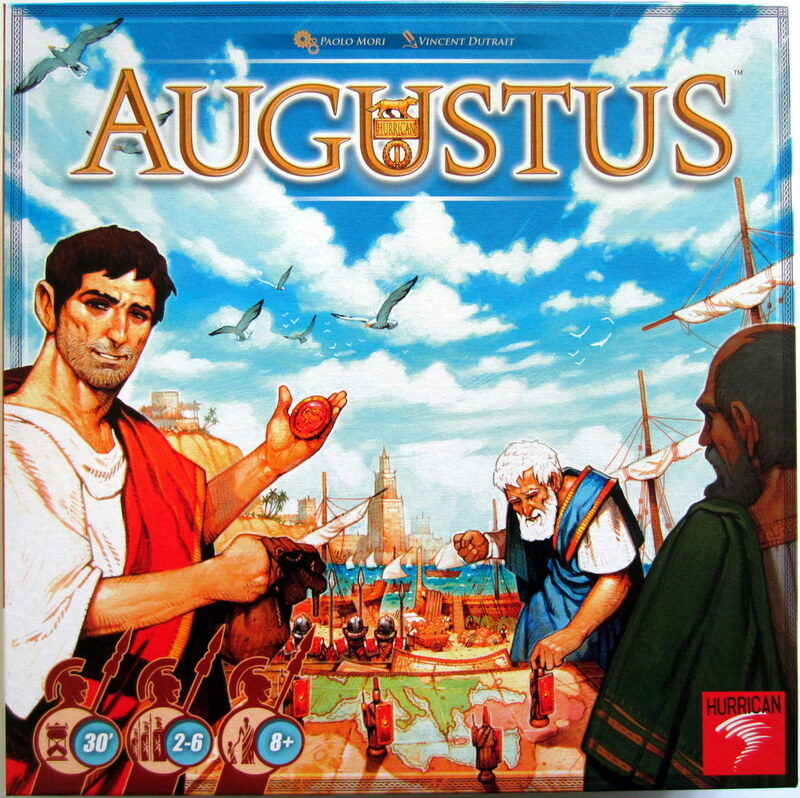 I arrived just as James was beginning to explain Augustus ("The Best Gateway Game according to Natasha") to Paul, Andy, a lady who's name I cant remember (Natasha perhaps?) and Gareth II - a crowd who can barely remember the gateway they leapt through many years and games ago. I shared the table's unease at the tag line of 'gamery bingo' but pulled up a seat for good company and enjoyment of a game well explained by the maestro James. So only 1 rule wrong then tonight, but a pretty key one given that Paul and Andy ended the game with fewer meeples than meeple spots on their bingo cards due to a particularly harsh interpretation of the 'remove a meeple' attack. 'Remove' thematically resulting in permanent death in this land of Caesar. To be fair to James, the table (Andy excepted) generally agreed with his interpretation and we all started with the same knowledge. So much tile drawing and bingo calling ensued. For the first few rounds I thought that you had to decide whether to place your meeple on the drawn icon or whether to keep it in your pool and decide the best timing of your placements on the cards you wished to complete first. Paul however helpfully told me you could move them around after placing them so there was actually no decision points at all in most of the game save for which new card you'd pick up when you'd completed one. A bit of light decision making ensued here when you decided how your bonuses would best complement each other. After all this overproduced bingo drawing Gareth completed 7 objectives first and had a score of 63 with lots of bonuses to win, I had 56 and not sure on everyone else as all seemed pretty keen to move on to some proper gaming (or continue with Too Many Cinderella's if you were on Dan's table). 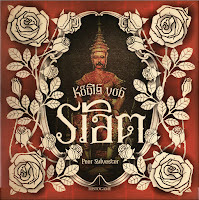 Paul A: "Followed up with König von Siam, which is one of those games that befuddles me: how do you play to win? What should I do? How did anyone design this game? Nonetheless, I put in a good effort teaming up with Soren, only to see Tom steal victory at the last moment. Clearly, it was Soren's fault." Soren: "I object! As I spent all my cards during the first half of the game and did nothing but pass the second half, so surely it was Paul's fault"
Tom: "At this point, everyone who was everyone had arrived and it looked like we would be settling into the main games for the night. 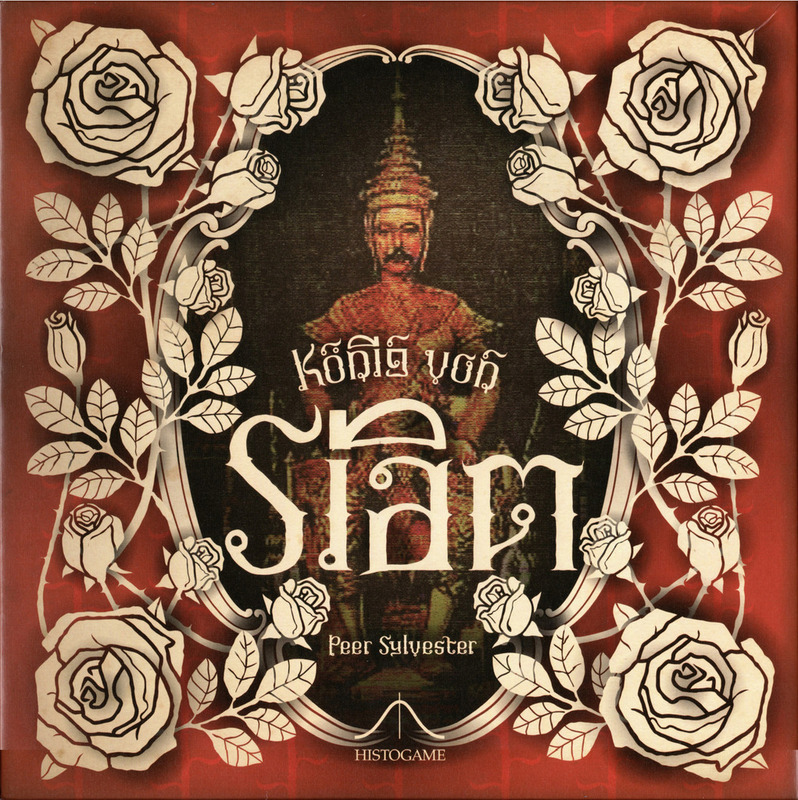 In order to avoid the weekly micro-game of What Game Is Everyone Willing to Play, Dan grabbed my new copy of König von Siam with Paul A and Soren drafted in to start a four player partnership game. In short, although a little bit dry this was a tense game which, as Paul said, went down to the very last card. Both Soren and Dan shot out the starting blocks in terms of card play, with Paul generally keeping apace. At this time, it was clear that Dan was building a yellow majority and I thought that it would be worthwhile to hang back and facilitate a Dan victory, building a small blue majority of mine as a failsafe. The brilliant thing about this game, however, is that if you don't play your cards early you can find yourself with a greatly diminished pool from which to draw (meaning that when your cards are played they have partial or no effect) and/or the landscape has changed to diminish the card's effect. As was the way in this game. With only three regions left, I had five cards in hand and the other players only one or two. However, I hadn't noticed that Soren had now matched Dan's yellow majority and also would win the game if the blue faction came in second. This led to a face-off between myself and Paul to avoid any further blue gains and push the reds into second place - a feat I managed with my very last card. Coming into the game, Soren said that he'd heard bad things about the partnership game but I greatly enjoyed it. With minimal set-up, a relatively quick playing time, and lots of difficult decisions (and hopefully a bit more table talk when knowledge of the game develops), this could see further plays. Dan? Dan: "All I know is that history raises statues to the winner and assist stats are totally meaningless anyway "
Paul A: "What else could you follow that with but Super Rhino!. Putting aside any qualms about theme (a costumed rhinoceros that climbs buildings apparently), we also chose the wobbliest table in the pub for playing it on. There were many shaky hands and some very dodgy saves in there. Dan argued for architectural purity and getting the cards straight. The rest of us just concentrated on not knocking things over." 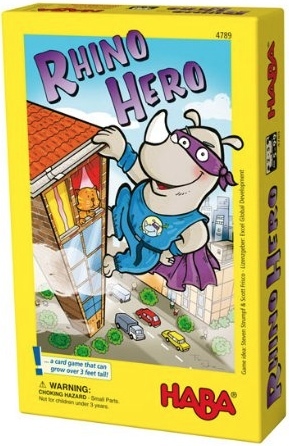 Tom: "Rhino Hero - A fantastic game. Quick set-up. Lots of chat. Nobody really cares who wins, just who knocks over the tower!" Paul A: "What better to end with than Too Many Cinderellas? 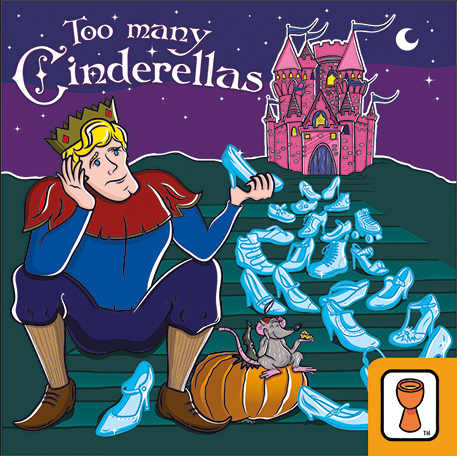 Another small and admirably clever game, although I still maintain that Cinderella is blonde." Tom: "Too Many Cinderellas - Didn't quite have the pop that it did last week. I think that it suits the full player count more than it does three - not sure why although it may be due to the added rules increasing the difficulty in meeting the set criteria (and increased likelihood of the lower cards being used which manipulate those rumours). Still can't see myself refusing a game in the near future." 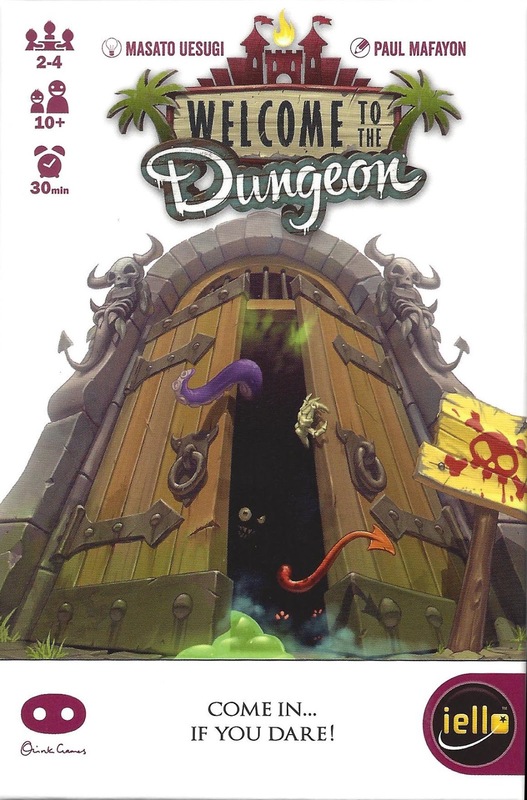 Soren: "After Paul left, we continued with Welcome To The Dungeon, a great extendend version of the push your luck, Japanese hipster game Dungeon Of Mandom. This was won by Tom due to him being a coward and Dan and Soren being reckless idiots." Tom: "Welcome to the Dungeon - Not wowed by this although again perhaps it would be better suited to four." Dan: "I take great pride in being the most reckless of all idiots." - My perfect drawing of a Jack o Lantern when my clue was "Thanksgiving". Sore and Dan's response was priceless. - Soren's attempt to draw "Down" using five different arrows. - James trying to draw Return of The Jedi using two people fighting with lightsabers - when the other six clues were also Star Wars movies. It almost rivalled the "Thank You, Mr President" from Dixit for a classic Sinden clue. A wonderful night of gaming all told. Yes, that's 11 games in the space of one game of Snowdonia (and Castles of Burgundy at the other table). Impressive stuff." 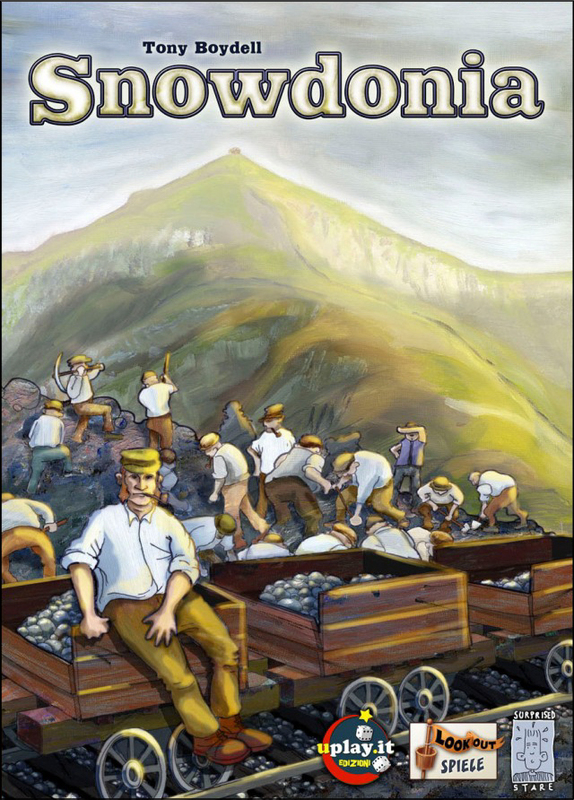 James, Paul and Noel were keen to play Snowdonia and Andy joined in for a go at another worker placement game following his 4th place at the recent UK Agricola Champs. Tom flirted with the jokers at the Cinderella table and then pulled up a seat for some railway constructing on Snowdonia. It was new to both Tom and Paul and it was a while since Andy had played so James took them through a faultless rules explanation (obviously the exception that proves the rule). A quick flick through James' score book to see what a good score was revealed, to James' displeasure, a number of previous wins for Noel and successes for Phil using the surveyor strategy. James also longingly fondled his multiple expansions which once again would go unplayed. Paul won the start player lucky dip which is a boon in this game as no other bonuses go round the others for going later although as always tricky on your first game to know where to go as you try to make sure you don't miss the obvious move. Noel picked up some early cards and both he and Andy started their surveyor off up the mountain. Both also grabbed a surveyor bonus card to complement their surveyors travels. Andy, James and Tom picked up the first extra engines going for the better conversion, extra resource and increased rubble clearing engines respectively. With some fog on the horizon, Noel was very happy to take Ivor the Engine whose ability to work in fog was hugely beneficial for a number of turns (assisted by some convenient rubble clearing by himself and Paul). He was able to keep hold of Ivor by discarding the appropriate card rather than the extra steel when the tax was required. Early track building was slow but accelerated as Paul picked the extra track building train and the end game approached. Noel was able to extend the game by one round by sacrificing a worker to block this action which enabled him to get his surveyor to the end, earning an extra 11 points with the bonus card. Andy also played a last round bonus card to complete his surveyors journey and gain maximum points plus bonus points for the surveyor. However, Noel had most objectives completed and this pushed him to the win and another tale of woe in James's score card. Just over 2hrs for 5 players with extra time for the rules explanation meant that 13 games were played on the light and fluffy table but we all knew that the real men and women of IBG were the Snowdonian's and the Burgers of Burgundy who were grafting over their point salads on the next table. Last weeks question: "After the condemnation of Pictionary last week, what's your favourite party game... ?" Tom Juan: "Party games - hmmmm. I never really know these days what qualifies as a party game. Unless someone wishes to correct me, my choice would have to be Dixit - a game that should really be played at IBG more than once every Christmas!" Paul A: "For the sake of argument, I'll define a party game as something that will tend to only show up at a party rather than a normal gaming meet. 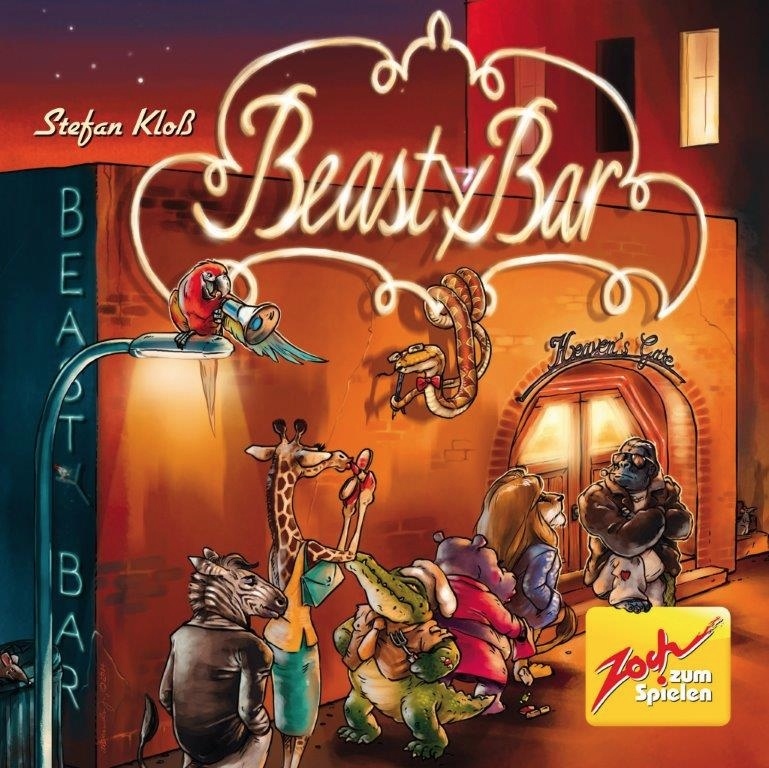 In that light, I'll nominate UnNatural Selection and Snake Oil both as winners in the hilarious juxtaposition / blag genres: there's enough there to make a decent game but not so much as to weigh the game down in the context of a party. (I'm looking at you, Machine of Death: The Game of Creative Assassination ...) "
Noel: "Best party game for me is Time's Up!, easy first round, ramps up nicely and laughs guaranteed with the group enjoying a shared creative experience of successfully developing freeze frame poses no matter how obscure or impossible the answers initially seem. Top marks for Dixit too, which is also great and actually got good run out just a few weeks ago at IBG. " Tomtoo: "I really enjoy times up! and But wait there's more. Both great fun (: "
Dan: "Apples to Apples has always been a success for us, but for club night Dixit has a bit more game to it I guess. " Tash: "No mentions for Cards Against Humanity yet, which I have noticed to be a big hit with non-gamers that I know. Possibly says something about my social circles. 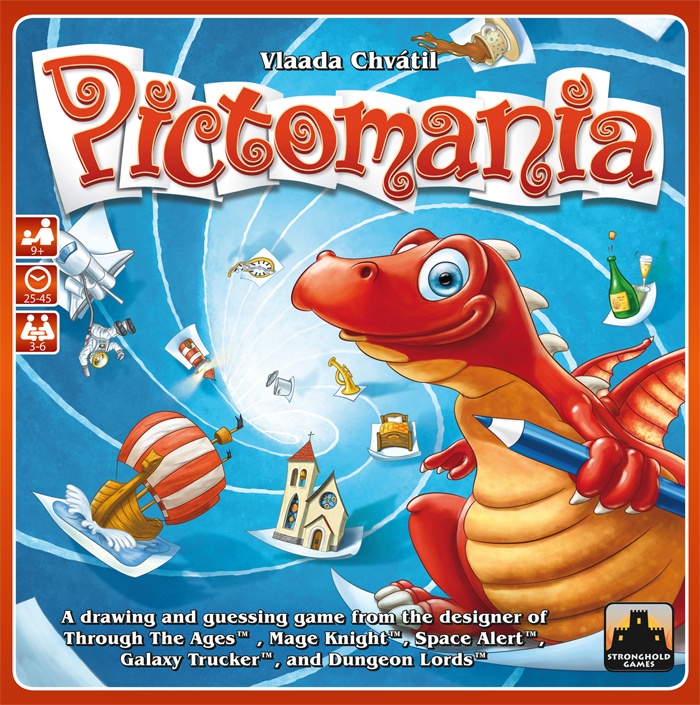 Other honourable mentions do go to Dixit (even better with the expansions), and also Balderdash has been a hit (provided everyone speaks English as a first language), and Articulate! also. I'm going to give "best party game" award though to The Cube, which is perhaps cheating as it is perhaps not what we would call a hobby game. It is, however, quite challenging and interesting - and fun! Oh wait - I am always a bit tipsy when playing party games - so perhaps that needs to be factored in to my ratings. What do you mean I'm always a bit tipsy? How dare you! Outside for a fight, right here, right now! I love you, you're my best friend! Where can we get a kebab? Oh no, I've missed the last bus. " But at the moment the best game(s) are Spyfall and A Fake Artist Goes to New York which are effectively the same concept using different mediums. ...oh and One Night Werewolf although I think I'm in a gang of 1 here..."
Soren: "I do not do many party games, but Wits & Wagers is great. A trivia game done right - for people who do not know any/much trivia. And Tumblin' Dice and PitchCar and various dexterity games are always good." Is there a game that you'd love so see produced in a 'deluxe' edition like this...? And then, if it was available... how much would you be prepared to pay for it !??"